During Sunday night's debate, there was a strange policy wonkish thing that started gaining traction on Twitter. Export-Import Bank started trending on Twitter during the debate, indicating that there is some discussion to be had about one of the Vermont Senator's favorite talking points. So, what is the Export-Import Bank? 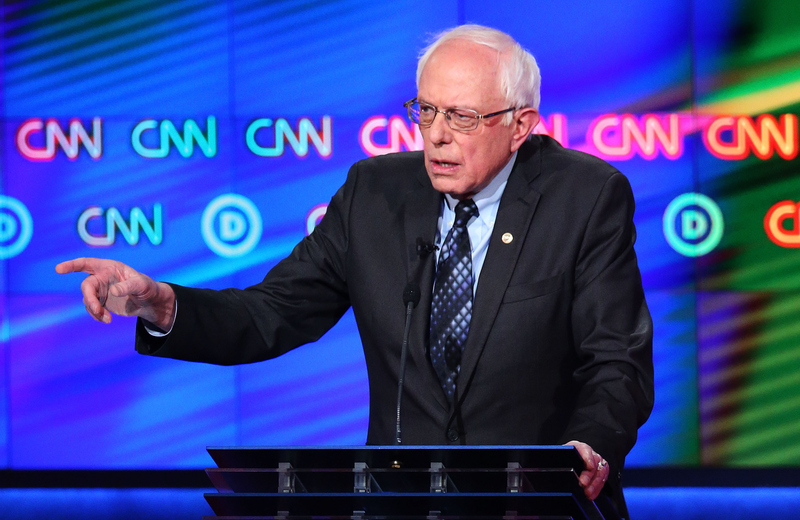 In the Democratic debate, the Export-Import Bank discussion became particularly important in differentiating Vermont Sen. Bernie Sanders and former Secretary of State Hillary Clinton. Sanders is the only Democrat in the Senate caucus to oppose renewing the Export-Import Bank, with its future still hanging in the balance. "I think we're in a race for exports," Clinton said in the debate. "Here in Michigan, there's been $11 billion in recent years used to support exports, primarily from small business. I favor it, he opposes it." To understand the Export-Import bank, you have to go all the way back to the Great Depression, because it's been operating since then. However, the bank briefly expired on June 30, 2015, and was shut down from July 1 to Dec. 4, 2015. The U.S. House and Senate voted to renew it until Sept. 30, 2019, and Obama subsequently signed it into law. The U.S. Export-Import Bank guarantees and brokers deals that help foreign customers buy American goods. Sanders has previously opposed the bank, saying that 75 percent of the money goes to already profitable corporations and that a lot of jobs are outsourced overseas. In reference to his opposition, Sanders added that, "Democrats are not always right." It's one of the rare opportunities for Sanders to agree with conservatives. Texas Sen. Ted Cruz has also voiced his opposition to the Export-Import Bank. Despite promises of broad job creation and economic growth, more than $116 billion in financial assistance from the Ex-Im bank went to just 41 companies during the last nine years. These same companies have eliminated more than 180,000 jobs since 1994. Essentially, Sanders doesn't believe that the funds are being spread widely enough to merit the funds that it gets. Specifically, Sanders believes that "more than $3.3 billion over the past six years, even though they made a combined profit of over $60 billion." This is in strict opposition to the Democratic party, which has sided with the Republicans in their support of the Export-Import Bank, one of the very few things that both parties seem to agree on. Editor’s Note: This story has been updated from its original version to reflect that the Export-Import Bank was renewed after a vote by the House and Senate after being shut down for a brief period of time.